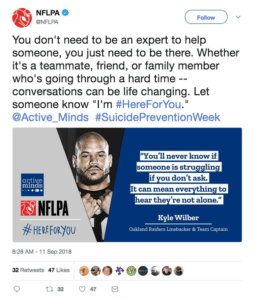 Proof developed #HereForYou, a campaign which emphasized the role of the listener, as part of the agency’s pro-bono efforts which generated thousands of social media impressions. We developed #HereForYou, a campaign which emphasized the role of the listener. Proof researched marketers, influencers and personas, developed campaign concepts, creative taglines, messaging and logos specifically resonating with high school and college students. 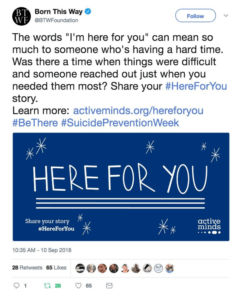 After working with the client team on creative, we created a social media toolkit and social tiles, provided strategic counsel and implemented earned media tactics.